(CN) – A California appeals court has upheld the right of a small, eccentric all-male college located in a remote mountain valley to admit women. “We find that objectors have demonstrated no error with respect to the trial court’s exercise of its statutory equitable power to modify the trust,” Associate Justice Thomas Hollenhorst wrote in a 16-page order filed April 13. Associate Justices Carol Codrington and Manuel Ramirez concurred. 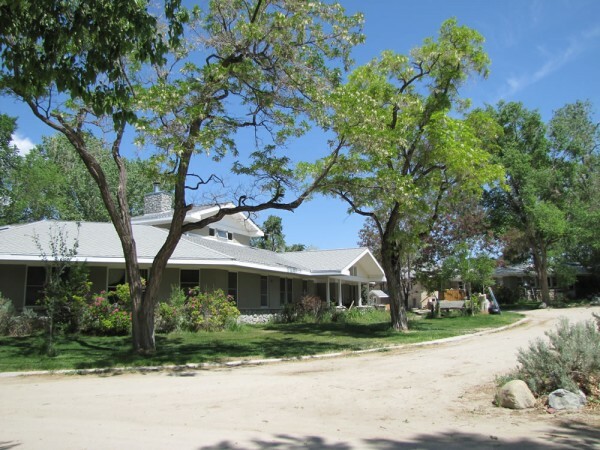 Deep Springs College is the smallest college in the United States, admitting just 12 to 15 people per year. It is by all accounts one of the most rigorous, with high test scores and grade point averages necessary to negotiate its 10 percent acceptance rate. The sprawling rural campus is tucked in an isolated valley between the White Mountains of Western Nevada and the Inyo Mountains of Eastern California. It is the sole occupant of the valley located near the larger Owens River Valley. The closest town of Bishop, California, is about 45 miles away. Deep Springs was founded in 1917 by Lucien L. Nunn, an entrepreneur who graduated from Oberlin College in Ohio and headed west in search of a fortune. He found an entrepreneurial niche in the construction and operation of alternating-current power plants, many of which were innovative in their use of hydroelectric power. The power plants were often built in remote Western outposts like Telluride, Colorado, and similarly mountainous places in Utah, Idaho, Montana, Mexico and Canada. They required engineers who were not only able to capably manage the plant, but also rugged enough to deal with isolation and rugged mountain environments. Finding such men in short supply, Nunn founded Deep Springs College and was actively engaged in its management until his death eight years later in 1925. The unorthodox higher-education institution is a private two-year college that gives out associate’s degrees. Most of its students move on to other universities, with two-thirds of them eventually pursuing graduate degrees. The college features a faculty roster of just six professors and a student body that fluctuates between 25 and 30. The organizing principles of the college revolve around its three “pillars:” academics, labor and self-government. Along with their studies, students are required to spend at least 20 hours per week working at either the school’s farm or ranch, which provides most of the food for the students – who also prepare and cook it. As to self-government, the board of trustees was established by Nunn to include one member of the student body who has full voting rights. When the board was expanded from 7 to 13, the student body was given two representatives, which it presently maintains. Students are involved in almost every aspect of the management of the college, including hiring faculty, maintaining its facilities and writing and editing its materials. The college has been all-male since its inception, one of a handful remaining in the United States not counting seminaries. Others include Hampden-Sydney in Virginia, Morehead College in George, St. John’s University in Minnesota and Wabash College in Indiana. The difference is all those colleges want to remain that way, while Deep Springs recently voted to begin admitting women. The issue was raised in the 1950s, seriously considered by trustees in the 1960s, 1970s, mid-1990s and from 2003 to 2005. After 60 years of considering the issue, the board voted in 2011 to go coed. An alumni group challenged the vote, saying the shift violated the spirit and letter of the trust established by Nunn at the college’s founding. The case, therefore, revolved around a matter of law regarding how and when a trust may be altered. The alumni pointed to the phrase in the trust – “for the education of promising young men” – which they claimed explicitly states the college is reserved only for men. But the college and its administrators argued the phrase “young men” was meant to refer to mankind in general, and that Nunn never made explicit a desire to exclude women. Hollenhorst and the rest of the panel sided with the college, finding that because the phrase wasn’t an administrative or dispositive part of the trust, alumni couldn’t use it to block coeducation. The panel also noted Deep Springs had previously altered one of its founding principles – an emphasis on religion – which the college dropped 25 years after the trust was written. Lawyers for the alumni could not be reached for comment, but the school celebrated the decision with caution. Hitz cautioned the student body to be patient and prepare for delays.